Twice a year, Hebron has two very significant events that put the small town on the map. 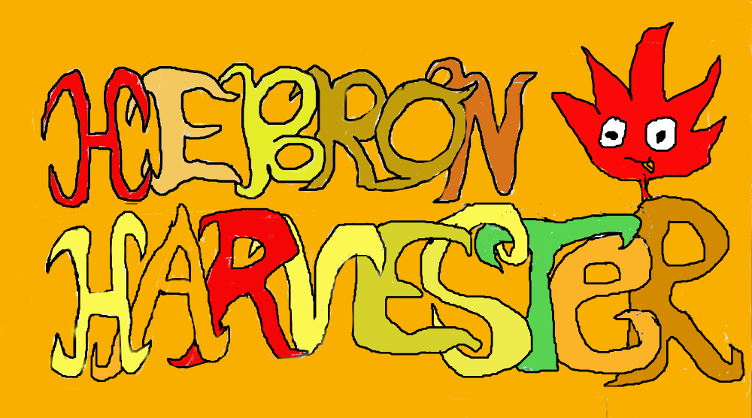 The first is the Hebron Harvest Fair, which attracts visitors from all over the state to come to our town. The second event, the Hebron Maple Festival, may not be as widely attended as the big Hebron Harvest Fair, but it is still a very special and important Hebron event taking place each year, six months after the Hebron Harvest Fair. The twenty-sixth annual Hebron Maple Festival is coming this March. While the event originally promoted twenty-six years of maple sugar making, it eventually developed into a town phenomenon representing many maple products, supporting local business vendors, and offering entertainment for children. The event comes at the perfect time betwixt seasons- the Maple season is best when the days are warm and the nights are cold, so the event being held in mid-March marks the end of winter and the beginning of spring for local Hebronians. The event started twenty-six years ago when Selden Wells, a sugarhouse owner in town, went to the library with gallons and gallons of surplus syrup, suggesting a “Sugar on Snow” fundraiser. The fundraiser had become such a success that next year Wells asked all the local sugar makers to open their sugar houses. Throughout the years, there have been a number of sugar-making houses in Hebron, including Wenzel’s Sugar House on East Street, Winding Brooks Sugar House on Skinner Lane, Well’s Sugar House on Cone Road, Dad’s Sugar House on Wall Street, and the Hope Valley Sugar House on Hope Valley Road. Not all of these sugar houses partake in the event each year, but they have participated in the past to share in Hebron’s New England tradition of maple sugar making. It is these sugar houses that really brought to life what the Hebron Maple Festival has become today. Several are still active sugar houses, including Wenzel's Sugar House, and Woodyacres Sugar House, both of which will be accessible in this upcoming Maple Festival. Aside from all the greatness that the event offers, much of it is imbued in Hebron’s history as well. Previously during the event, the Historical Society have presented many of Hebron’s historical buildings, such as the Burrows Hill and Gull Schoolhouses, including the Boy Scout renovations throughout the years. The Maple Festival is a great way for the whole town to come together, share their love for the town and its history, and put Hebron in the limelight. People who come to the event from different parts of the state are amazed at how wonderful the town has come together to present such a family-friendly event. The Hebron Maple Festival has become an event representing the heart of Hebron, Connecticut. There are many dedicated local businesses who come together to represent how great it is to be a part of the small New England farm town. This year, the Hebron Maple Festival will be taking place on March 19th and 20th. The Windham Chamber of Commerce has decided to run the event this year and expand the "Hebron Maple Festival" to a "Maple Madness" event, which features a variety of sugar houses all throughout eastern Connecticut. Hebron, still is, of course, the main attraction of the event, but we can see the event has come a long way to expand outward into other parts of Connecticut. I would only assume this would help bring more publicity into Hebron, the main attraction of the event. As you venture through the Maple Festival this year, feel free to send your photos to hebronmapleleaf@gmail.com and I can post them here (especially if they are Maple Leaf mascot photos). 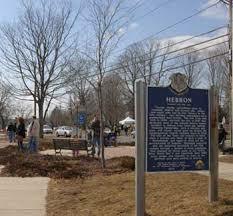 To learn more about the Hebron Maple Festival, check out http://www.hebronmaplefest.com/.